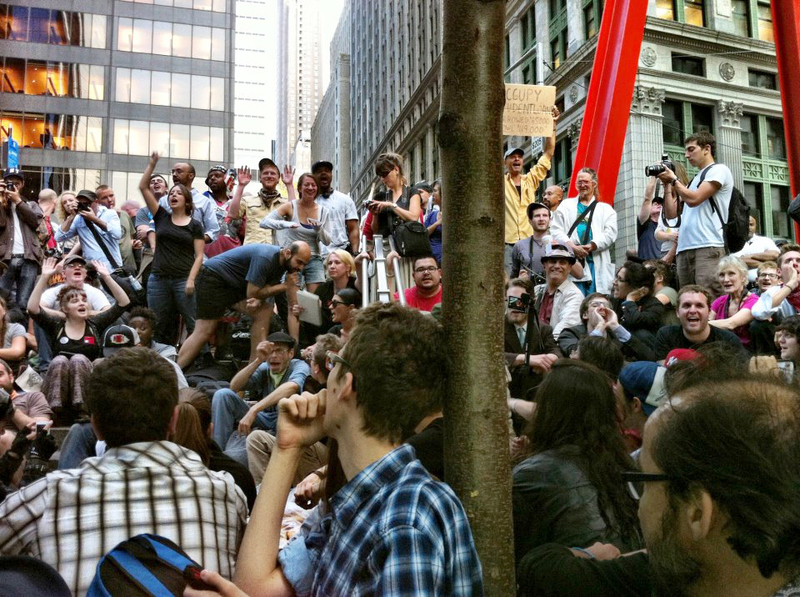 The OccuLibrary project was initiated in 2011 following the eviction of Occupy camps across the U.S. and the destruction of the libraries that had spontaneously sprung up within them (more than 3,000 books were lost in New York City alone). 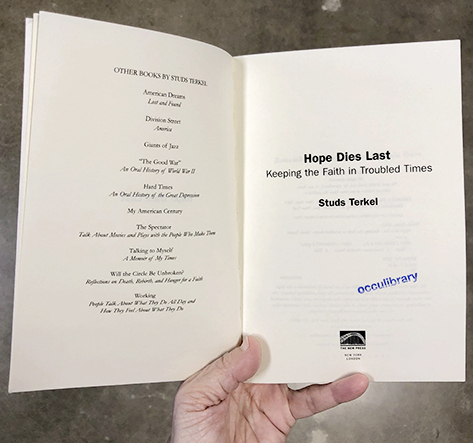 The project was conceived as a rolling collaboration in which various artists were invited to create reincarnations of the destroyed libraries, "using aesthetically-informed strategies to lure awareness toward empowering info." Such reincarnations have taken the forms of, among other things, mobile and “secret” libraries, an exhibition of works by internationally-known artists, a reading group on art's power to influence reality, a series of children’s programs, and a video shoot in which members of the public were invited to read their choice from a compilation of great quotations. Collaborating artists have included Karen Weiner, Lizzy Wetzel, Greg Metz, Danette Dufilho, Anne Lawrence, Regina Yunker Rudnicki, Oil and Cotton, Frank & Celia Eberle, Sally Glass, Cassandra Emswiler Burd, Michael A. Morris, Carolyn Sortor, and many more. Members of various Occupy “working groups” have also contributed to the new exhibition. The physical OccuLibrary library was assembled through donations and comprises books on art, politics, economics, philosophy and other subjects as well as fiction, zines, drawings, and other materials. These now find their permanent home at the MAC and will be available for use by the public. The exhibition runs through February 23. All Day All Week: An Occupy Wall Street Story (2016), by Marisa Holmes (101 min. ), with the artist skyped in for Q+A. In 2011 occupations of public spaces were taking place around the world, as people rose up in response to the global financial crisis and for real democracy. Marisa Holmes was centrally involved in the Occupy movement and shot footage from its beginning through the eviction of the OWS camp from the heart of the world’s most important financial center. Her beautiful and moving film gives an intimate view of aspects ignored by traditional media, shedding light on the movement's highs and lows as well as on next steps. Please join the Working Groups artists together with Janeil Engelstad and Vicki Meek for a conversation about the exhibition, libraries, art, and activism. HD video, total 19 min., documenting participatory incarnation. Passers-by were invited to read their choice(s) from a compilation of quotations from great artists and other thinkers. Concept and compilation by Carolyn Sortor; editing by Michael A. Morris; videography by Morris and Sortor. As of 2019-02-25, the video can be seen via Glasstire here. Please go HERE for reader credits, quotations, and sources. William Sarradet, + Dinah Waranch. Installation prepared for use in the Vol. 2 shoot; inkjet prints, cardboard boxes, and wooden shelves. Concept and design by Sortor with background image derived from 2011 photo by Steven J. Syrek; but this and other components of the exhibition could not have been executed without the support and assistance of Morris. Occupied Wall Street Journal, Issue 6, May 2012, by independent journalists Arun Gupta, Jed Brandt, and Michael Levitin. 52 Shades of Greed (2011), deck of playing cards commissioned by the Alternative Banking group, representing various figures within the financial sector. Panel, Occupy Dallas, inkjet print. Panel, Occupy Sandy, inkjet print. Panel, the Debt Collective, inkjet print. Panel, Occupy the SEC, inkjet print; text prepared by Akshat Tewary. 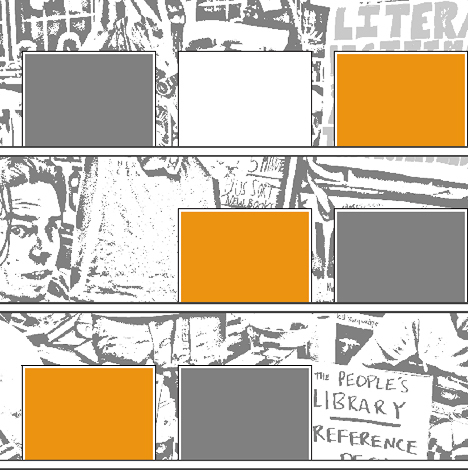 Panel, the OccuLibrary, inkjet print. The artists express their deep gratitude to the MAC for its support for this exhibition and for providing a permanent home for the OccuLibrary library. 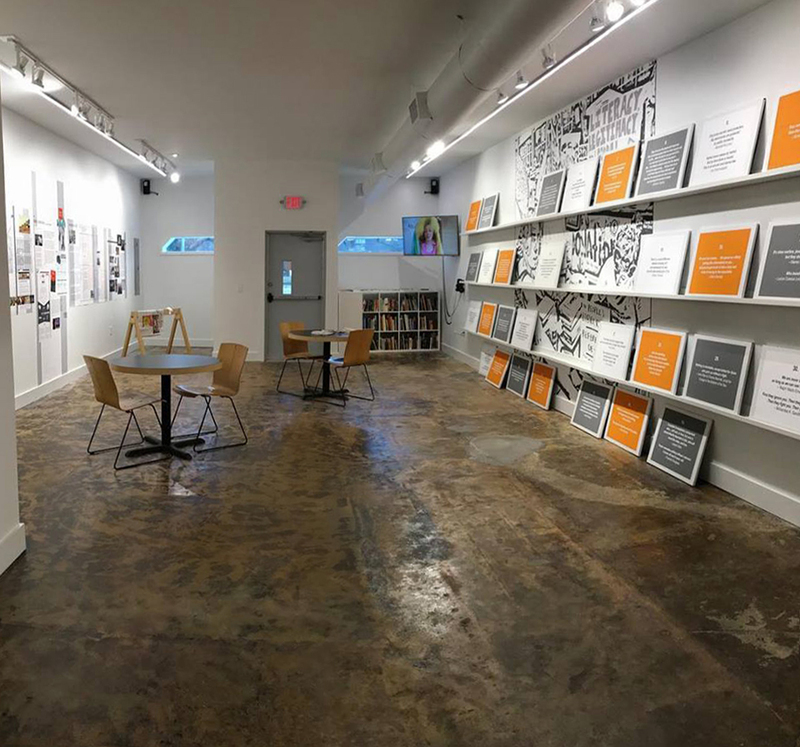 The artists also gratefully acknowledge the assistance of Kimberly Alexander with the exhibition installation, as well as the participation and assistance of the many others who have helped create the various OccuLibrary incarnations. For more about their contributions, please go here or see the OccuLibrary. For more info about the OccuLibrary project, see the OccuLibrary.